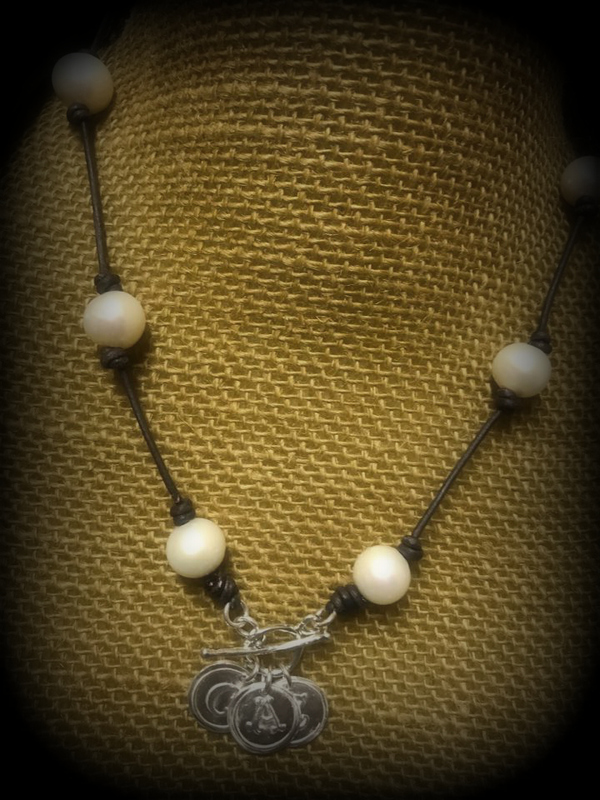 Description 9-10mm freshwater pearls hand knotted on round leather cord with sterling silver toggle accented with small, round sterling silver initials. Add as many or as few initials as you would like. Add your children's or grandchildren's initials. Great gift for mothers and grandmothers. Price includes one small round initial, order more for an additional cost.